London Assembly Member Murad Qureshi has written to President Obama requesting a Presidential Decree to ensure the US Embassy in London pays its backlog of congestion charge fines. 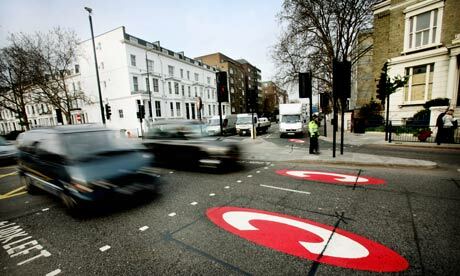 Transport for London have given up trying to recover parking and congestion charge fines from foreign embassies and have passed the problem to the Foreign Office to sort out. None of the embassies are entitled to exemptions from the congestion charges or parking fines although the American Embassy has consistently objected to the requirement. Foreign Embassies now owe a total of £28 million in unpaid fines and the US Embassy is by far the worst offender, with over £3 million pounds owing in congestion charge fines alone. The Russian Embassy owes £2.6 million, the Japanese owe £2.3 million, and the Germans, £2.12 million. Obama’s new Ambassador Louis Susman has refused to pay the fines. The previous Ambassador, Robert Tuttle got called a ‘chiselling little crook’ for a similar crime by Ken Livingstone. Rumours are circulating that in retaliation against the Americans Boris’ City Hall might refuse or complicate the US government’s planning application for a new £500 million ‘super embassy’ at Battersea as it doesn’t comply with ‘The London Plan’.